Yesterday I let you in on a little of my needlework design back story. 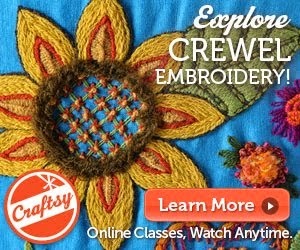 My journey from learning to sew as a kid, through my career in needlework and knitting and to where I am now. We talked about using circles in knitwear. Today, we are continuing with the circle story although this story is about an embroidery project I made and which you can too. In India there is also the a spiritual motif called a Mandala. From the Mandala Project, here is a definition: A mandala describes both material and non-material realities. 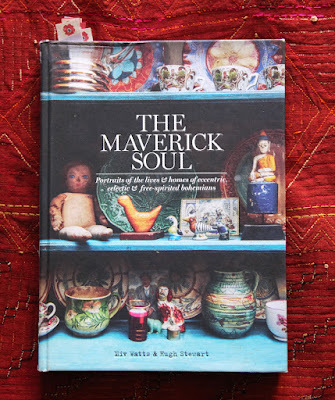 The mandala appears in all aspects of life: the celestial circles we call earth, sun, and moon, as well as conceptual circles of friends, family and community. Mandalas are common motifs throughout the world in many cultures - Tibet, Native American Indians, Christianity..... Although my knowledge of mandalas is not huge, I do know how to decorate a circle. 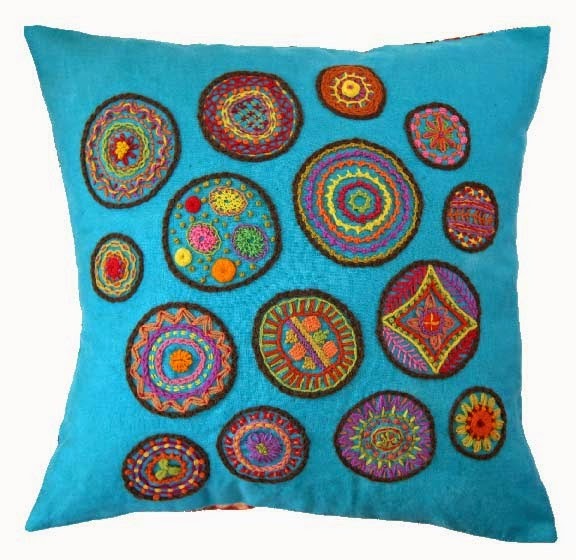 Introducing The Circles Sampler Pillow Project in Crewel Embroidery. The Circles Sampler Embroidery Pillow Project began with a need for a new embroidery project to work on through the summer days at our Farmers Markets. 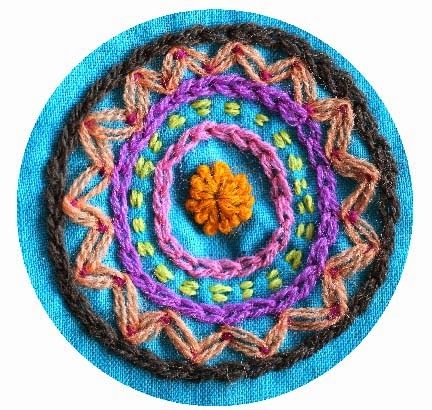 As I was thinking about what to stitch, I stumbled on the idea of decorated circles. I had just finished this project featuring ovals before my Crewel Embroidery Class at the Farm. The ovals were fun to stitch and worked with a variety of stitches. Why not continue in the same vein. The project had to be easy to pick up and put down frequently between customers. It had to be colorful and fun to do. It had to stop passers-bys in their tracks to watch a person embroidery/sewing in public and perhaps create a conversation. And it had to use new Crewel Embroidery Stitches that would be fun for participants in my on-line Craftsy class to learn after they worked through the class. 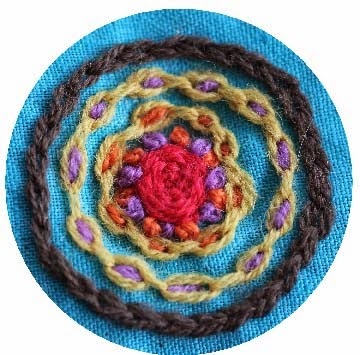 I am not a particularly spiritual or religious person but as I was stitching this design at the many Farmers Markets this summer and throughout the summer at family gatherings, I couldn't help but think about all the circles in my life. Mostly I thought about the circle of life here at our farm. Circle of life is a term I use a lot when selling our lamb products. Our years go round and round..... from winter lambing.... to spring grass and moving the animals onto the fields.... to summer haying, shearing, and farmers markets and finally to this autumn season where the earth is beginning to go to sleep. Our ewes are bred and now the farming circle begins again. Round and round, the years go slipping away as Julia grows older, I get more wrinkles, and The Farmer wonders how is going to keep this all up as he gets older. As I stitched , I thought of my circles of friends and family and how they have overlapped and combined and morphed over the years. I thought about the communities I have been a part of including the one you all belong to here at this blog. I thought of the circle of creative folks who enjoy the act of making and sharing via the world wide web. I thought of the different on-line communities including Ravelry, Houzz, Craftster, and many more I have no knowledge of. 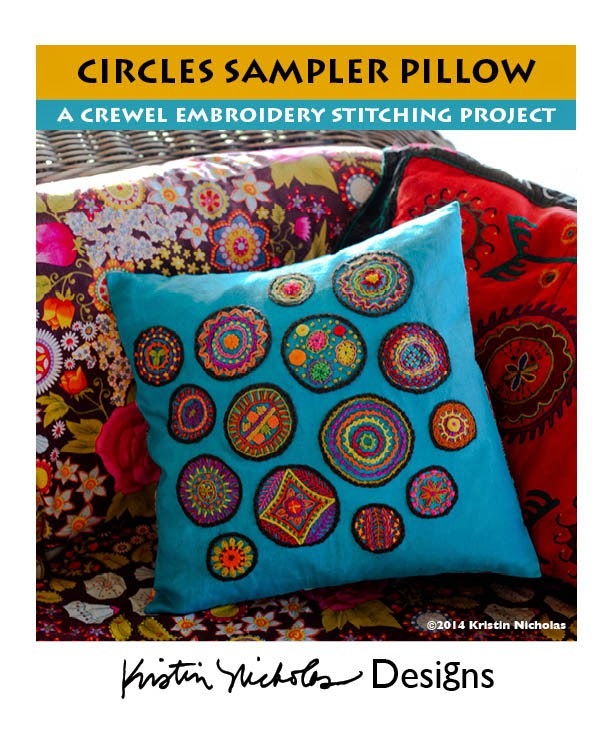 And so here you have my newest PDF Instant Download Pattern - The Circles Sampler Crewel Embroidery Pillow Project. The design features 15 different circles of varying sizes. 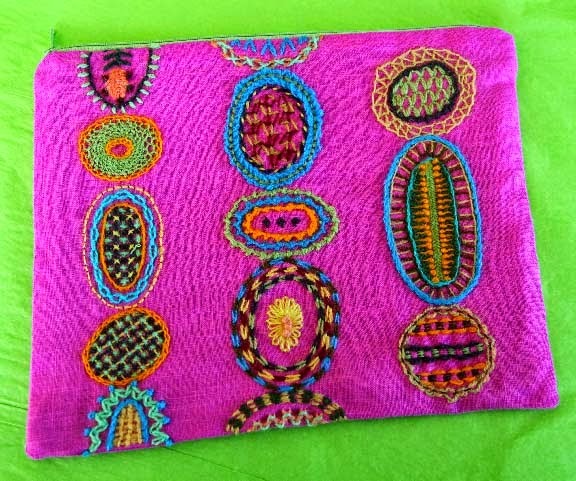 There are 26 different stitches used in the project. Some are your basic go-to stitches such as Chain Stitch and Backstitch but some are more special and fun and challenging like the Cable Chain, the Lace Stitch, and the Double Chain Stitch. This project will take you through the winter months. It is not very demanding and those of you who get obsessed will stitch through it quickly. 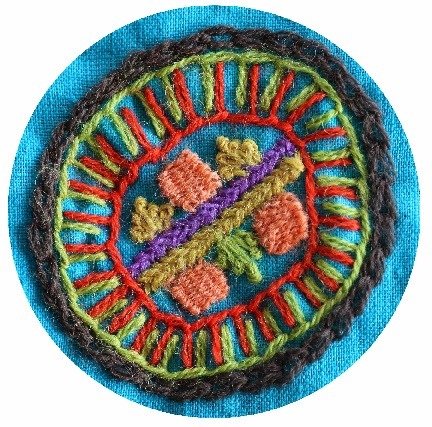 The circle motifs are pleasing to stitch and it is easy to finish one complete circle in an evening. You can see 5 of the circles on the blog header above. Interspersed amongst this post are some of the other stitched circles. •Close-up photos of the 15 individual circles - it will be easy for you to re-create the design! Hop on over to my webshop to purchase the Instant Download PDF design for $13.00. I am also making Kits for the Circles Sampler Pillow Project. They cost $46.00 and include linen fabric, 19 colors of crewel wool thread, and a chenille needle. You can learn more about them here. Note: Kits do not include the pattern - it must be ordered separately. 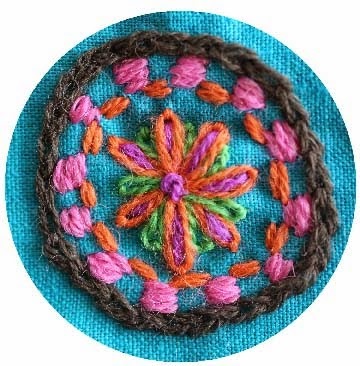 As you stitch, you can think of the different circles in your life. Get as introspective as you like or just enjoy the rhythm of the stitches. I hope some of you will give it a try! LOVE these bright circles !!!! Your work is just SO inspiring. I'm a teacher and I've been looking for an art project for my middle-schoolers. We are working on mandalas as part of a self-regulation curriculum. Now I know what my students' project will be!